We are testing a beta version of iCheck Vitamin E now. 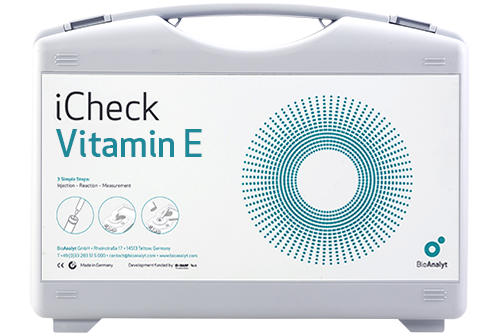 This iCheck is designed to measure vitamin E in blood in just minutes. Is vitamin E important to you? Share your testing challenges with us and be a part of the development and beta-testing. Sign up now to become a beta tester! In what matrix would you like to measure vitamin E? How many vitamin E tests do you plan to perform? ORDERiChecks can be ordered directly from Bioanalyt.